Spacious two bedroom apartment available for holiday rentals in Albatross Hill, a delightful gated community nestled in the hills of Nueva Andalucía. Situated just a short drive to all amenities, with the luxury harbour of Puerto Banus and surrounding beaches just ten minutes away. The property boasts a large terrace with panoramic views overlooking The Aloha Valley, including three well-known golf courses: Aloha, Los Naranjos, Las Brisas and the Mediterranean Sea. South-facing, the first floor apartment comprises of two bedrooms, both with en-suite bathrooms, a guest toilet, kitchen with small breakfast area and a large combined living and dining room with direct access out to the south /south-west facing terrace offering sunshine all day long. The complex features four outdoor swimming pools, an indoor swimming pool, small gym, sauna and a tennis court. There is garage parking and lift access up to the apartment. Fibre Optic Internet and IPTV installed via Olivenet with access to 1,000+ TV channels including Spanish, Norwegian, Swedish, Danish, Finnish, Dutch, English, German, French, Italian, Portuguese, Russian and more!  Hello Dear Nordica Team, it was my 2nd or 3rd time I have booked with you and everything was simply perfect again. Thank you very much for your professionality. We will see each other again. Take care. Greetings from Germany. we are just as satisfied with the appartment and surroundings, as last time we rented it two years ago.